We want you to be happy with your MIDAS software purchase. That's why we provide a functional online public demo of our MIDAS scheduling system through our website absolutely free of charge. In addition we also offer private no-risk, fully functioning, 30-day free trials hosted on our servers should you wish to test our room and resource scheduling software beyond the limitations of the public demo. We believe making these options freely available prior to purchase of our software allow prospective new customers to fully explore, test, and assess the capabilities of our booking system to allow an informed decision to be made as to our software's suitability for their particular booking and scheduling needs. If you decide to purchase a "cloud hosted" edition of our software (where your MIDAS system resides on our servers), you have the right to cancel your subscription at any time. If you cancel within 14 days of your initial purchase, you will be entitled to a full refund. As we offer an online demo and options for a full 30-day "no-risk" trial of our software prior to purchase, then in accordance with the license agreement you acknowledge and accept when purchasing and installing our scheduling software on your own server, that due to the downloadable nature of the software, it is not possible to return it for a refund. If you're still not sure whether our web based room and resource scheduling system is right for you, talk to us! Each "Annual Support Subscription" (in the case of self-hosted systems) or "Annual Hosting + Support Subscription" (in the case of a cloud-hosted system) is valid for a period of 1-3 years from the date your subscription was originally purchased or last renewed. Should you wish to cancel your subscription part way through an active subscription period you will not be entitled to a refund for the remaining time left on your current subscription, unless the subscription was purchased at the same time as a cloud-hosted MIDAS system, and you are still within the initial cancellation period outlined in the "Cloud-Hosted Customers" section above. License Upgrades are not eligible for refunds. Refunds for any Addons subsequently purchased and added to a customer's MIDAS system are at our sole discretion. 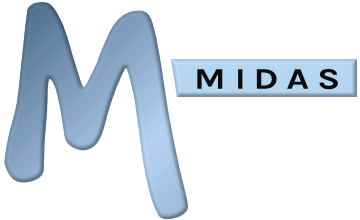 Try MIDAS Online Right Now! Can I downgrade my MIDAS license?